The answer is most likely, yes. Many people underestimate the hazards of renting a home or apartment. For starters, consider how much it would cost to replace all of your belongings in case of damage or theft. 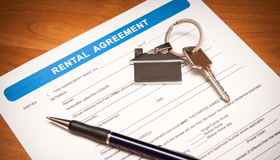 If the total is more than you can currently afford to pay, then renter’s insurance is for you. Renters insurance also gives you liability protection should you become responsible for injury or property damage, either of which could cost you thousands of dollars. Replacement cost on eligible personal property. Liability protection should you become responsible for bodily injury or for property damage. Medical coverage if a guest is injured on your property. Legal defense for any covered liability claims made against you. Additional living expense should your rental home become uninhabitable due to a covered loss. *Additional special coverage options are available. Please consult us for a complete list of coverage options. This overview is a general coverage description only and is not a policy contract. Specific provisions of your policy, determine if a particular loss is covered, and for what amount. We are a full service personal lines agency which specializes in insurance for individuals and families. Since we are an independent insurance agency, we can offer a number of different companies to suit your personal needs.